If you have worked with Citrix software for the past decade, you would have noticed that there was a significant naming convention change. Brian Madden's blog posted an excellent article describing Citrix client terminology. This is the new name of the Citrix ICA Client, which now access Citrix XenApp platform. This seems to be a suite of packages facilitating central administration of remote Citrix XenApp Plug-Ins, including features such as centralized authentication. There are some other clients, which I have not quite worked through the functionality, yet. A good reference for Citrix XenApp Documentation is available publicly over the web. This has been a very odd learning experience. Networks have become more universal over the past 20 years, becoming critical to the lives of every day citzens in the Western World. With networks requiring 24x7 uptime and an increasing numer of people depending on it for basi things such as directions to displlaced loved ones, doctors, hospitals - the availability of these networks during times of natural disaster have an ever increasing human element. The ability to make the desktops of staff managing those networks more tolerant to natural disaster becomes very important to increasing uptime of customer networks. Network edge switch providers have been providing power over ethernet for many years, so that wireless access points and phones could be deployed without the need for AC electrical power. With proper power backups to the switch, there was side benefit that wired and wireless networks would remain available, in additon to the traditional high availability of the telephone network. Hybrid 802.11G and 802.11N wireless access points had traditionally staggered under heavy network loads, with the lack of power availale over PoE, when the network vendors implemented the bare-minimum power requirements. The implications to increased power from the switches is staggering, but the focus of this blog is Network Management. No longer does the NOC need to be deployed with expensive desktops, in addition to expensive servers, expensive network switches, distributed power UPS backups, and central generators. With the movement towards enhanced POE, thin client desktops with integrated telephony can now eliminate the poer backup requirements leading to the NOC desktops. Ultra-thin Clients like the SunRay from Oracle allow desktop Network Operation personnel to be a available as the networks they must manage. With applications being centralized on servers in a DMZ, merely displaying those results back to SunRay's with ever so slight power requirements, power redundancy requirements merely need to be concentrated in the data center. The cost of deploying reliable virtual Network Operation Centers had just dropped an order of magnitude. This is just another example of Sun's heritage in the telecommunications field, which Oracle had inherited with it's acquisition. The 27-inch Thunderbolt Display has an LED-backlit, 2560-by-1440 pixel. A single two-ended cable attaches to a Thunderbolt-equipped MacBook Pro or Air, one lead going to the notebook's MagSafe power port, and the other to its Thunderbolt port. The display has three powered USB 2.0 ports, plus one FireWire 800 and one Gigabit Ethernet port, all connected to its Thunderbolt host. The display also has its own Thunderbolt port so you can daisy-chain up to five more Thunderbolt devices. Apple's latest MacBook Air has already made its way to iFixit's labs, and it's currently in 12 pieces. Though its insides and outsides are barely different from the last-generation Air released last October, a couple internal changes were necessary to add support for the backlit keyboard, Bluetooth 4.0, and Thunderbolt. T-Mobile will begin offering unlimited data plans starting July 24, the company announced today. T-Mobile says that "high-speed" (read: 3G and HPSA+) data will be capped at 2GB, 5GB, or 10GB a month depending on the plan, so only data as slow as 2G will flow freely. The battle of the 'books will really kick off next year, when, it has been forecast, some 7.6m ARM-based machines will ship, rising to a whopping 74m - 22.9 per cent of the laptop market - by 2015. The Baker Institute estimates that with shale as little as 13 per cent of Europe's gas imports will come from Russia by 2040, compared to 27 per cent today. The European Union gets 80 per cent of its gas imports from Russia via the Ukraine. Russian's state energy company, Gazprom, has used its gas exports as a political weapon: most recently turning off the tap to the Ukraine, which affected some European countries as collateral damage. Newer trends in higher-end user workstations continue to show promise, where new network management centers will be able to provide their workforce portability for better 24x7 escalation performance, without the need for traditional docking stations, using Thunderbolt technology, which integrates data and video. This author remembers combined data/video being used was with SPARC Printers, where basically a video port was used to print to a printer. The global use of energy efficient laptops and the creation of global energy are two topics which go hand-in-hand. New highly efficient form factors are being produced and consumed. Ultra-light laptops, smart phones, and tablets are becoming the most common form factors. The reduction in energy consumption as well as the combining of battery technology into common computing allows computing to work without "reliable power" at the same time where new energy sources are being tapped world-wide to provide stable priced reliable "base power" to highly available networking infrastructure, to allow modern society to function. Information consumers require greater access to highly available networks in formerly unreliable places is a cornerstone to modern society. Reliable electrical power for servers & network infrastructure is as key to modern Western information based society as water and sanitation was in the former Western industrial society. Faster SSD's offer improvement opportunities for network management systems. Seagate is shipping its Pulsar XT.2 SSD with an SPC-1C benchmark rating, and has a second slower but higher capacity SSD coming soon. The 2.5-inch Pulsar XT.2 is available in up to 400GB capacities, has a 6Gbit/s SAS interface, and is built from fast single-level–cell flash. Technology from GA-USA offers important possibilities for remore network probes. Network giant Cisco cutting staff indicates changes in the overall market. Networking giant Cisco Systems is going to get 11,500 employees smaller. After Wall Street closed today, Cisco said that it was going to cut 6,500 workers to get its costs more in line with its revenue streams, and added that it was selling off a set-top box manufacturing plant in Mexico with 5,000 employees to Chinese manufacturing Foxconn Technology Group. More Apple hardware means more diversity in the Network Management arena. According to numbers from the NPD Group, the answer is yes. Piper Jaffray analyst Gene Munster reported on NPD's numbers in a note to investors on Monday (as seen by AppleInsider), noting that Mac sales were up by 12 percent year-over-year for every month in the quarter. Solar energy is important for remote Network probes. The Gold-Standard platform in Network Management has received an upgrade. According to a blog post by Masood Heydari, vice president of hardware development at Oracle, the beta program will be available to a "select number of enterprises" – and as you might expect, the company is looking for enthusiastic shops that aim to use early access to Sparc T4 multi-core systems as a competitive advantage. ZFS was created by Sun Microsystems to innovate the storage subsystem of computing systems by simultaneously expanding capacity & security exponentially while collapsing the formerly striated layers of storage (i.e. 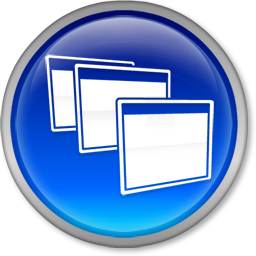 volume managers, file systems, RAID, etc.) into a single layer in order to deliver capabilities that would normally be very complex to achieve. One such innovation introduced in ZFS was the ability to provide inexpensive limited life solid state storage (FLASH media) which may offer fast (or at least greater deterministic) random read or write access to the storage hierarchy in a place where it can enhance performance of less deterministic rotating media. This paper discusses the process of upgrading attached external mirrored storage to external network attached ZFS storage. The goal was to consolidate the mirrored sets of current data, recent data, and long-term old data onto a single set of mirrored media. The target machine the business was most concerned about was a high-end 64bit dual 2.5GHz PowerMAC G5 deskside server running MacOSX. The introduction of mirrored external higher capacity media (1.5 TB disks with eSata, Firewire, and USB 2.0 options) proved to be far too problematic. These drives were just released and proved unfortunately buggy. During improper shutdowns or proper shutdowns where the media did not properly flush the final writes from cache in time resulted in horrible delays lasting over a day. Rebuilding the mirrored set upon next startup would take over a day, where access time to that media was tremendously degraded during a rebuild process. Moving a 1.5TB drives to external USB storage connector on a new top-of-the-line Linksys WRT610N Dual-Band N Router with Gigabit Ethernet and Storage Link proved impossible. The thought is that the business would copy the data manually from the desktop to the network storage nightly, by hand, over the gigabit ethernet. Unfortunately, the embedded Linux file system did not support USB drives of this size. The embedded Linux int he WRT610N system also did not support mirroring or SNMP for remote management. 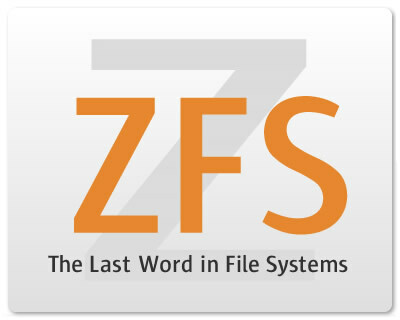 The decision was to hold-off any final decision until the next release of MacOSX was released, where a real enterprise grade file system would be added to MacOSX - ZFS. With the withdrawal of ZFS from the next Apple operating system, the decision was made to migrate the all the storage from the Media Design House onto a single deskside ZFS server, which could handle the company's storage requirements. Solaris 10 was the selected, since it offered a stable version of ZFS under a nearly Open Source operating system, without being on the bleeding-edge as OpenSolaris was. If there was ever the decision to change the licensing with Solaris 10, it was understood that OpenSolaris could be leveraged, so long term data storage was safe. Two Seagate FreeAgent XTreme external drives were selected for storage. A variety of interfaces were supported, including eSATA, Firewire 400, and USB 2.0 At the time, this was the highest capacity external disk which could be purchased with the widest variety of high-capacity storage interfaces off-the-shelf at local computer retailers. 2 Terabyte drives were expected to be released in the next 9 months, so it was important the system would be able to accept them without bios or other file system size limitations. These were considered "green" drives, meaning that they would spin down when not in use, to conserve energy. A dual 450MHz deskside Sun Ultra60 Creator 3D with 2 Gigabytes of RAM was chosen for the solution. They were well build machines with a current low price-point which could run current releases of Solaris 10 with modern ZFS filesystem. Dual 5 port USB PCI cards were selected (as the last choice, after eSATA and Firewire cards proved incompatible with the Seagate external drives... more on this choice, later.) Solaris offered security with stability, since few viruses and worms target this enterprise and managed services grade platform, and a superior file system to any other platform on the market at the time (as well as today): ZFS. SPARC offered long term equipment supportability since 64 bit was supported for a decade, while consumer grade Intel and AMD CPU's were still struggling to get off of 32 bit. The Apple laptops and Deskside Server all supported Gigabit Ethernet and 802.11N. Older Apple systems supported 100 megabit Ethernet and 802.11G. A 1 Gigabit Ethernet card for the Sun Ultra60 was purchased, in addition to several Gigabit Ethernet Switches for the office. A newly released Linksys dual-band Wireless N router with 4xGigabit Ethernet ports was also purchased, the first of a new generation of wireless router in the consumer market. This new wireless router would offer simultaneous access to network resources over full-speed 2.4GHz 802.11G and 5GHz 802.11 N wireless systems. The Gigabit ethernet switches were also considered "green" switches, where power was greatly conserved when ports were not in use. CyberPower UPS's were chosen for the solution for all aspects of the solution, from disk to Sun server, to switches, to wireless access point. These UPS's were considered "green" UPS's, where their power consumption was far less than competing UPS's, plus the displays clearly showed information regarding load, battery capacity, input voltage, output voltage, and component run time. The 64 bit PCI bus in the Apple Deskside Server and the Sun Deskside Workstation proved notoriously difficult to acquire eSATA cards, which would work reliably. The drives worked independently under FireWire, but two drives would not work reliably on the same machine with FireWire. A pair of FireWire cards was also purchased, in order to move the drives to independent controllers, but this did not work under either MacOSX or Solaris platforms with these external Seagate drives. The movement to USB 2.0 was a last ditch effort. Under MacOSX, rebuild times ran more than 24 hours, which drove the decision to move to Solaris with ZFS. Two 5 port USB 2.0 cards were selected, one for each drive, with enough extra ports to add more storage for the next 4 years. The USB 2.0 cards had a firmware bug, which required a patch to Solaris 10, in order to make the cards operate at full USB 2.0 speed. A mirror of the two 1.5 Terabyte drives was created and the storage was shared from ZFS with a couple of simple commands. The configuration is as shown below. Even though the SPARC CPU system was vastly slower, in raw CPU clock speed, from the POWER CPU in the Apple deskside unit, the overall performance of the storage area network was vastly superior to the former desktop mirroring attempt using the high-capacity storage. Copying the data across the ethernet network experienced some short delays, during the time the disks needed to spin up from sleep mode. With future versions of ZFS projecting to support both Level 2 ARC for reads and Intent Logging for writes, the performance was considered more than acceptable until Solaris 10 received sufficient upgrades in the future. The system was implemented and accepted within the Media Design House. The process of moving old desktop mirrors and racks of CD and DVD media to Solaris ZFS storage began. New resources have been added to the Solaris Tab, primarily concerning Solaris 11. There is a helpful PDF document demonstrating Virtual Networking via "Crossbow". Setting up a completely virtualized server and switch environment on a single platform meets various requrements such as: portable network management demonstrations, framework to build network management test labs, and a framework to simulate and test network management applications in a WAN environment, without purchasing the hardware. Powerful frameworks like Crossbow are available under Solaris 11 derivative operating systems like Solaris 11 Express, OpenSolaris, OpenIndiana, Illumos, etc.